The Kendalls are the October Yard of the Month Winners! 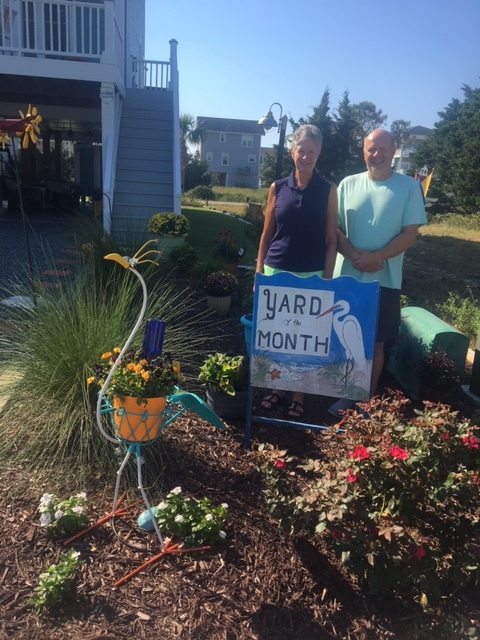 The Holden Beach Beautification Club would like to announce that the home of Bob and Janette Kendall on Lois Avenue has been selected as the October Yard of the Month. The Kendalls have worked very hard on their yard this year and have a collection of mums, vinca, hibiscus, lantana, pansies, and multiple colorful potted plants. Congratulations to the Kendalls!